Chisinau City (Moldavia Chişinău) is the capital and largest city of Moldova. Prospect offers the great opportunity to look at Moldova through the prism of camera lens. The citizens of our country as well the guests will discover a world of wonder and beauty, sometimes unexpected and paradoxical. Photo and video material can stop the moment of beauty, beautiful second of life; those cannot be repeated again anymore - look intimately into these images – may be you could see a piece of yourself of your inner world! Balti - city (municipality) in Moldova. Located 130 km north-west of Chisinau on the river Reut. The Republic of Moldova - is a country in Eastern Europe. 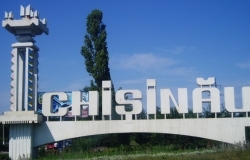 Chisinau Circus first appeared in 1981, at that time it was considered to be one of the most beautiful circuses in the..
Chisinau Tractor Plant was founded in 1945. Currently, this company has a manufacturing capacity of 3 thousand..